There are many cases when it is a good idea to convert your word document to a PDF file. Unfortunately, often it seems that a PDF file is bigger than a Word file. If the size is too big the file becomes less usable. Fortunately, you can control the size at some extent because the size depends on several important factors. Keep reading to learn how to convert a word document to become a PDF file that has similar or smaller size than the original document. This is the first useful tip that you can use to reduce the size of your PDF file. There are many file compression applications that you can use to reduce your PDF file size. Compressing your PDF files can be a perfect option for those who want to reduce the size of your PDF file without editing the original document. Some recommended applications are WinRar, WinZip, or any other file compression applications. 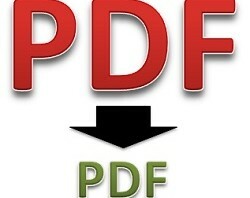 This is another effective way to reduce your PDF file size. You can simply choose the black and white option. Without saving the color of the original file, your PDF file will become smaller. This option is useful if the colors don’t play an important role in your original document. However, if you want to save the colors of your original document, you should try the other two tips. This is another option that you can do to reduce the size of your PDF file. 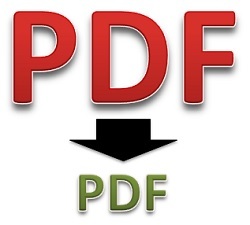 When converting your word document to a PDF file, you will see an option about reducing the quality of your PDF file. Usually you can choose between standard and minimum size. The quality decrease is most visible in images and graphics. You can always test how the reduced quality affects your document. Just choose higher quality if you don’t like the minimum size file. Now you test these three useful tips to reduce the size of your PDF file. These are especially important for people who want to send their PDF files to other people via email. However, you should not worry too much about reducing your PDF files’ size. Small size is not the primary goal for all PDF files. In some cases, you may find that it is important to have the highest quality PDF. 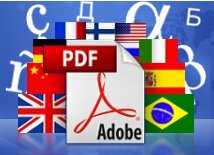 Translate your PDF documents to other languages easily. Just choose your file and the target language. Or try out the new Drag&Drop feature! Test with your own document for free.